As part of our allied health sector, we have many excellent pharmacy jobs in New York. If you are a pharmacist or a pharmacy technician, you’ve come to the right place for an opportunity. Pharmacy jobs are of high importance and require outstanding individuals. A pharmacy career is rewarding path that can take you to many different areas and levels within your industry. 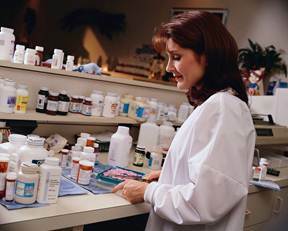 If you’re an experienced pharmacist or a pharmacy technician we have the perfect job for you. Horizon Healthcare Staffing caters to the job seeker’s needs and place you in the best available pharmacy job. Becoming a pharmacist or pharmacy technician is not easy. You should be rewarded with all the hard work put in to becoming a pharmacist or pharmacy tech. We have openings throughout New York that include the Bronx, Brooklyn, Queens, Staten Island, and Manhattan. We also have great opportunities on Long Island that include Suffolk County and Nassau County. Please click on one of the pharmacy jobs in New York below for further details on the position. If you are interested in one of the opportunities below, please apply online. One of our recruiters will contact you shortly after with an available job opening. Depending on your resume and experience, we will place you at one of our clients.